It’s highly likely that an amendment will be made to South Africa’s copnstitution that will allow for land expropriation without compensation following a decision to do so by the ruling party the African National Congress (ANC). But the government hasn’t got off to a good start in managing the process. It’s clear that narrow party political considerations are driving decisions and that the ANC’s political fortunes reign supreme. Principles and knowledge count for nothing in this game. This is clear from the way in which the ANC is mishandling the issue by flip flopping with ease on matters of principle. Four recent developments illustrate this. The first relates to the process of public consultation. On 14 March 2018, South Africa’s President Cyril Ramaphosa announced in Parliament that public consultations would be held so that citizens could have their say on the issue of land reform. But no sooner were the public hearings underway, than the president announced that in fact the ANC was preparing for a vote in parliament. This suggested that the consultation process was being declared null and void. Matters then deteriorated further. Soon after the announcement about the parliamentary vote, it transpired that 139 farms have already been earmarked for expropriation without compensation. This suggested that the parliamentary process on public hearings was being short circuited. The final flip flop has been the ANC’s position on how land reform will affect communal land under the administration of traditional leaders. Here it’s chopped and changed its position in a way that’s clearly informed by its narrow party political interests. The ANC is clearly more concerned about keeping traditional leaders as its electioneering agents for the 2019 national elections rather than any consideration for the equitable distribution of land for poor rural South Africans. It’s clear that the process towards land expropriation without compensation is largely driven by the ANC political expediency. This could have devastating consequences for South Africa’s economy. Key stakeholders need to shift their focus towards ensuring that land reform happens in an orderly way. South Africans have been actively involved in public consultations on the issue of amending the property clause of the Constitution since the first sitting of a Parliamentary Committee chaired by Vincent Smith on 26 June 2018. The committee has been holding countrywide hearings. They have shown beyond doubt that land ownership is a highly charged subject. In addition to its hearings, the committee also received more than 700 000 written submissions on land expropriation. Ramaphosa’s announcement that the ruling party had decided that land expropriation without compensation would be handled through a Parliamentary process threw everyone off balance. Did this mean that the public hearings of Smith’s committee have no standing in the eyes of the ANC leaders? 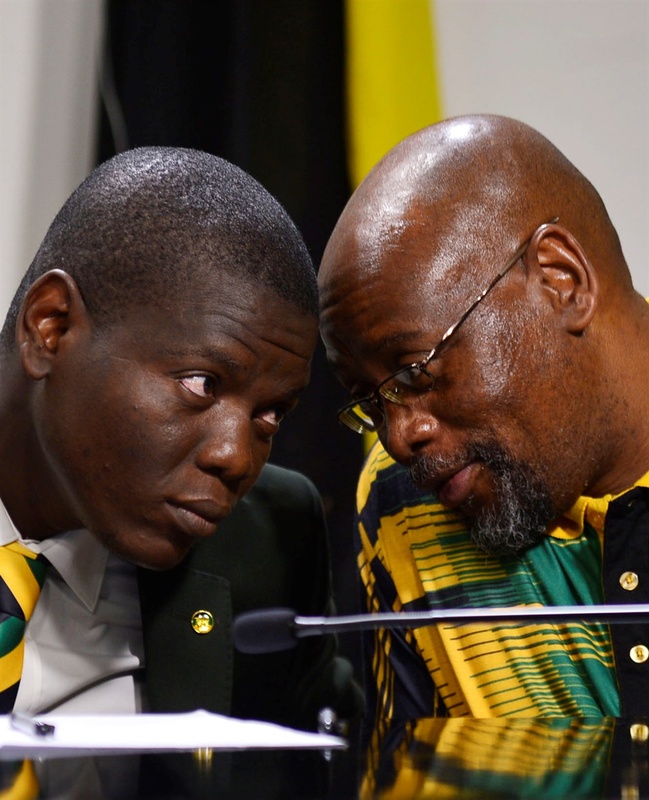 Has the ANC’s National Executive Committee and Ramaphosa already decided – without waiting for the parliamentary committee’s report – what land should be targeted and what process should be followed? If the answer to these questions is yes, it makes a mockery of Ramaphosa’s claim that an inclusive and consultative process would be followed. At its elective congress in December last year the ANC noted that it would leave no stone unturned in its land reform programme. This meant that even communal land controlled by traditional leaders would be earmarked for reform – including expropriation without compensation. But the prospect of expropriating land from traditional leaders has been met with remarkable hostility, mainly from the Zulu King, King Goodwill Zwelithini. In the face of this hostility, Ramaphosa has made some important concessions. He has told the King, as well as other traditional leaders, that land redistribution without compensation would not include communal lands controlled by tribal chiefs. Objectively, there’s no justification for excluding this land which is estimated to account for 13% of all land in South Africa. What it points to is pure opportunism. South Africans need look no further than Zimbabwe for an example of a land programme that can go badly wrong. Zimbabwe’s land expropriation without compensation policy ended up being a land grab in which powerful politicians, and other connected people, simply commandeered farms, including buildings, equipment, crops and livestock. This should be avoided in South Africa. But that’s not to say that South Africa must duck the issue. What’s needed is an orderly process that’s widely debated and that doesn’t exclude politically sensitive issues. It should also include debate on issues like fixed structures and improvements on expropriated land, as well as movable property, crops and the like. Pressing questions about urban property ownership are also being raised as the debate has moved beyond farmland only. If land reform is hijacked by the ANC for the purposes of winning the 2019 poll, South Africa could be on a slippery slope. There’s no guarantee that the ANC’s erratic behaviour won’t extend beyond the issue of land expropriation without compensation. What happens in the run up to the 2024 election if the ANC feels its electoral position is threatened? - Jannie Rossouw is Head of the School of Economic & Business Sciences at the University of the Witwatersrand.